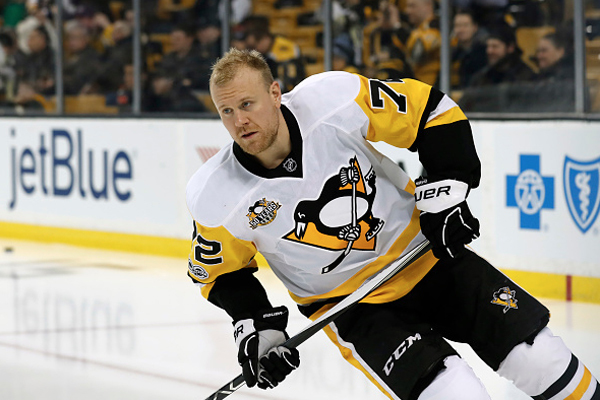 The Pittsburgh Penguins will be without Patric Hornqvist for Game 4 of their first-round series against the Philadelphia Flyers. According to head coach Mike Sullivan, Hornqvist has been sidelined with an upper-body injury. His absence will be felt most on the power play. Hornqvist scored a goal and added two assists in the first three games of the series, and is coming off a 29-goal, 20-assist regular season, but more than that, Hornqvist is one of the Penguins’ biggest emotional leaders, a heart-and-soul guy whose intensity is something at which his teammates routinely marvel. Pittsburgh currently leads the series 2-1.